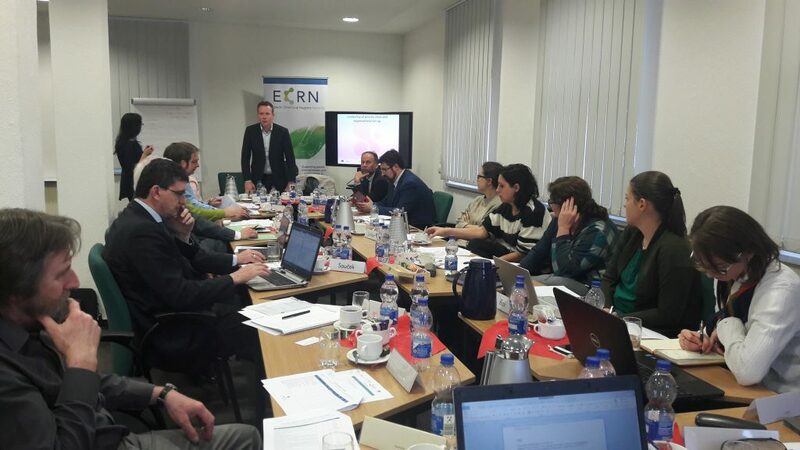 Initiated by ECRN on the ground of the already existing inter-regional collaboration, the Thematic area Chemicals under S3 Platform had its kick-off meeting back in October 2018. While Lombardy (IT) and Limburg (NL) are leading the partnership, 6 other European regions are already actively involved to pursue the objectives of modernizing the chemical industry to a sustainable, energy- and resource efficient sector. Since the kick-start, each region has collected initial regional data in order for ReConfirm, our guide and support facility, to finalise drafting a scoping paper. On 25 February, partners from Lombardy, Limburg, Usti, Mazovia, Saxony-Anhalt and Catalonia, gathered in Halle, for their first working meeting. They discussed the first findings on the regional investment gaps and complementarities, and validated the draft of the scoping note. Thanks to the active and dynamic participation, the meeting not only allowed drawing key priority, but it also let regional representatives debate openly on the vision of the partnership and projects. Consequently, it brought the partners closer to the opportunity to build joint investment projects. Most of the regions have already engaged with their regional stakeholders and thought of possibilities for cooperation. As a next step, regions will be working in groups on each priority to discuss in more details issues such as business opportunities to be mapped and stakeholders to be involved. The work in groups shall start in April with the support of ReConfirm. Regional interest towards the partnership is growing and more regions are interested to join. In particular, during this meeting the region of Saxony-Anhalt, also ECRN member, has been welcomed as a new member. The partnership would like to thank the Institute for Structural Policy and Economic Development for hosted this first meeting, alongside with ReConfirm who guides our work and support us with knowledge and experience. If your region is interested to learn more and join the partnership, contact Neli Georgieva at [email protected].